Sony Ericsson has added a new Android smartphone to its Xperia family which is known as Xperia neo. Similar to the new announced SE Xperia Pro, the new smartphone is also featured with cutting edge technology from Sony and exceptional multimedia experience on the latest version of Android 2.3 platform (Gingerbread). 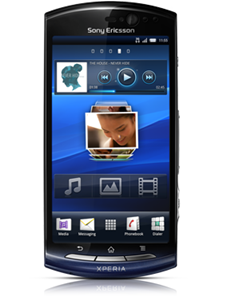 The Xperia Neo is aimed to give consumers a new way to experience the best of Android and the best of Sony multimedia. It is powered by 1GHz Qualcomm Snapdragon processor and runs on Android 2.3 Gingerbread. Exmor R Great stills and videos even in low light. Reality display with Mobile BRAVIA Engine. More than 100,000 apps on Android Market. Able to access Google services from the device. a 3.5mm headphone jack and a micro USB connector. Available in blue gradient, red and silver, the Xpedia Neo will be available in selected markets by the end of first quarter. However, the price is not yet announced.